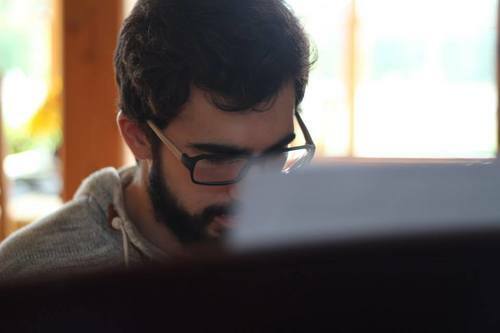 GABRIEL J. RIVERA (b.1988) is a composer from San Juan, Puerto Rico. He studied music composition with Alfonso Fuentes Colón in the Conservatory of Music of Puerto Rico where he earned his Bachelors degree in music composition. Currently he is pursuing his Master in Music Composition at Michigan State University under composer Ricardo Lorenz. In 2009, Gabriel won the Contest for Music Composition for Dance organized by Andaza and was choreographed by Eloy Ortíz, one of Andanza’s main choreographers. In the summer of 2010 he presented his Duo for Clarinet and Violoncello in the Ateneo Puertorriqueño, one of Puerto Rico’s chief cultural institutions. In 2010, in Second Congress of Puerto Rican Musical Creation, his work for orchestra “Un Final Frio”(A Cold Ending) was performed by the Symphonic Orchestra of the Puerto Rico Conservatory of Music under the direction Roselyn Pabón.